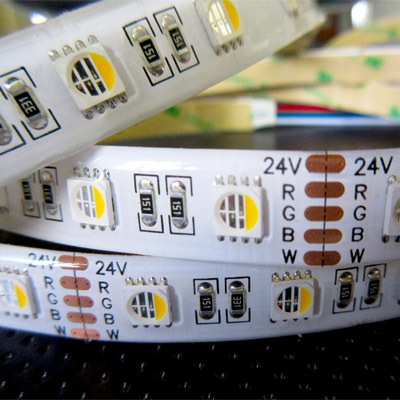 RGBW led strip is a new normal led strip, which use RGBW 4 in one 5050 smd led to be the light source. It can achieve wonderful lighting effects of RGB and white color by RGBW controller. RGBW led chip is the new chip,which have R,G,B,W four color chips inside one 5050 SMD LED.The white color is much puerer and higher brightness.Can be controlled by wifi remote and cell phone(Android ,IOS).Change any color and dimmable as you want at any time.Can be DC12V,DC24V,30/60/72/84/96/120 LEDs per meter.